The Fork Horn is a building that is large in space and practicality. 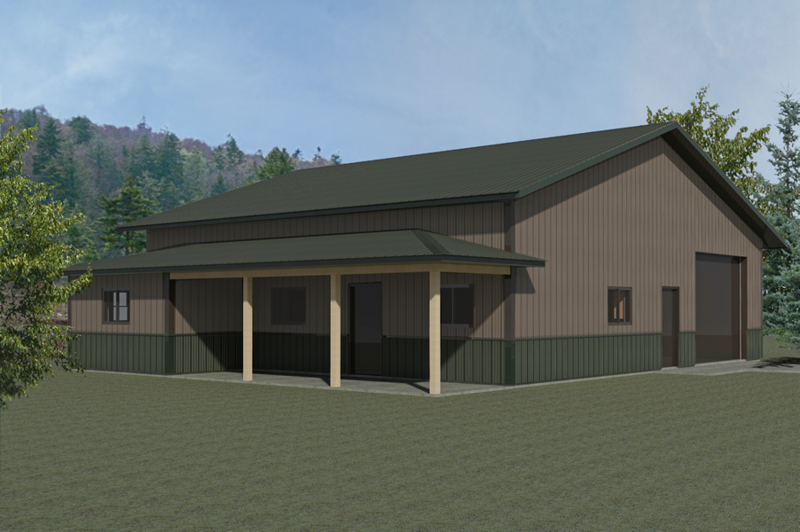 As a recreational building, the Fork Horn offers a nice storage area, garage, bunk area, 1 bathroom, 1 bedroom, a spacious kitchen/living room area, and a scent-contamination room. This 1728 square foot building is an excellent choice for the outdoorsman who wants a place to store a boat, 4-wheeler, or hang a deer. 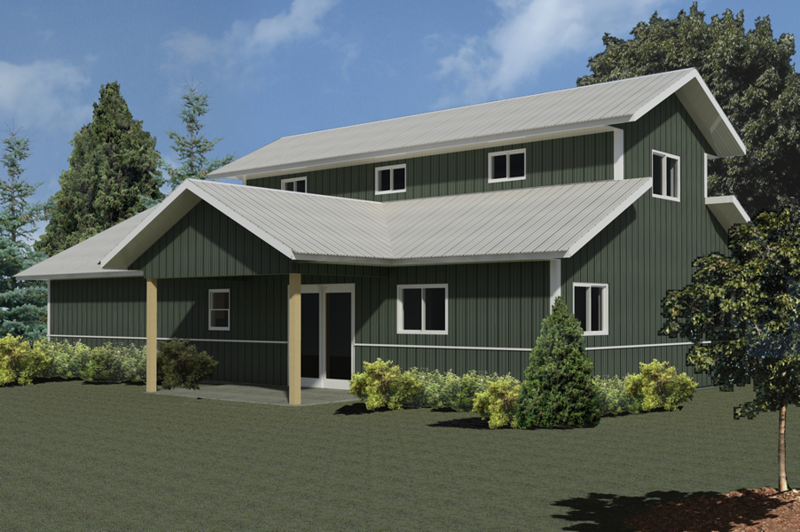 If you’re looking for an attractive, practical hunting building, the Fork Horn is a winning choice. The Harvester is a building that offers it all. This design and floor plan is as functional as it is attractive. 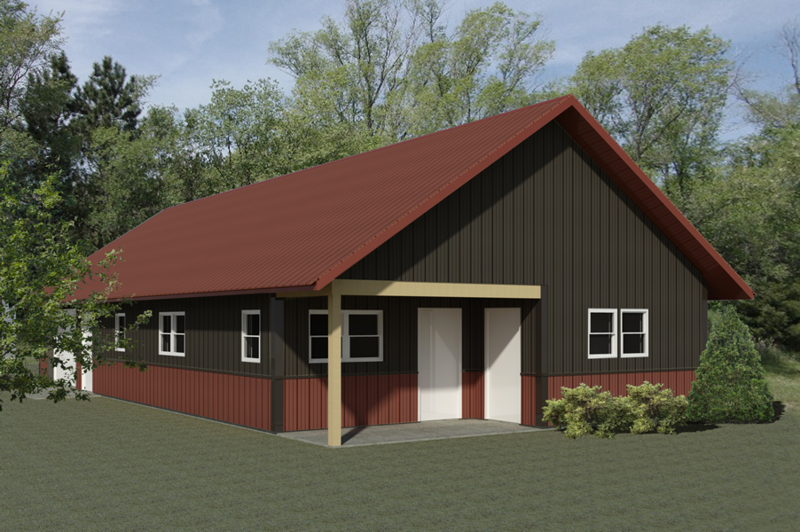 The lower level has a cabin-feel with two bedrooms, a very large kitchen/common area, and a covered grilling porch. The upstairs loft area is large enough to divide into individual rooms or utilize as an open area. Either way, the Harvester is ready to accommodate all of your recreational living needs. 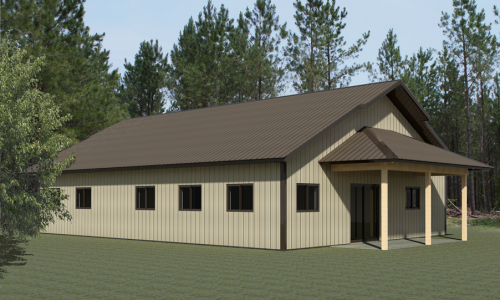 Like all Meyer buildings, the Sweet Spot is maintenance-free and designed to meet the needs of the outdoorsman. This design has two bedrooms, a spacious common room, scent containment room, grilling porch and a nice “Toy Chest” area. The Sweet Spot is perfect for the outdoorsman who wants a practical family get away that feels like home.